Lois Emily Carter Ramsey was born to the late John Allen Carter and the late Alice Ruth Mason Carter, on May 1st, 1928, in Winston-Salem, North Carolina. She was educated in the Winston-Salem Public School System and graduated from Atkins High School, in 1944, where her father was the principal. Lois then moved to Massachusetts, to attend the Northfield School for Girls. From there, she received her bachelor’s degree in early childhood education, from Syracuse University; and her master’s from the University of Pennsylvania, also in early childhood education. Eventually, she would receive a supervisory certificate from Temple University and her principal certificate from Cheyney State University. In 1952, she began her career with the Philadelphia School District in the classroom as a kindergarten teacher. Then in November 1957, Lois married Donald Paul Ramsey. From this union, came one child, Donald Paul Ramsey, Jr. They had a brief, but beautiful union, which ended with Don’s passing in April 1967. Shortly before his passing, her husband Don encouraged her to phase into administration, which she did, working as a supervisor and a field coordinator for the Get Set Child Care Centers. She instilled excellence and the love of teaching to her staff. Lois loved her work and, especially, she loved the children. Lois worked in the school system for forty-three years. Lois asked the best of others and she gave her best in return. She was a mentor and friend, a counselor and confidante; from the moment she met you, you became her friend and long-time friends became her family. Her vibrant personality drew the attention of everyone, the party began when Lois walked into the room. Lois was warm, open and bubbly, with a magnetic personality and ageless beauty. During Lois’ final years her friends were always there to provide care and comfort. We are most especially grateful to the staff, nurses and doctors from the Hill at Whitemarsh. The care, comfort and friendships she found there made her last days joyful. There were so many more…thank you so much for what you did for her. Lois was predeceased by her husband, Donald Ramsey, her brother John Carter, M.D. and her nephew, John Carter II and is survived by her son Donald P. Ramsey, Jr. of Washington DC and his partner Ronald Cocome. Nephew Craig Steven Carter, M.D. of Garner, NC , his wife Kim Carter; a great-niece, great-nephews and numerous relatives and friends. 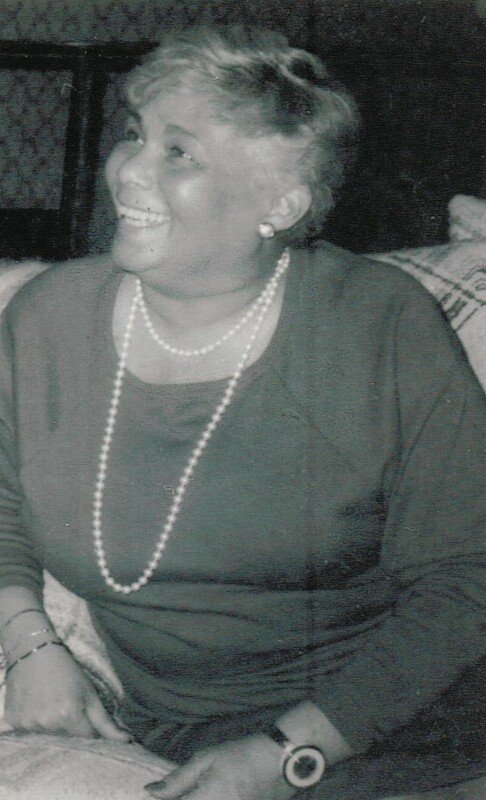 Relatives and friends are invited to Lois’ Funeral Services, Monday January 28, 11am, St. Martin-in-the-Fields,8000 St. Martins Lane, Philadelphia, PA 19118, where friends are invited to her viewing at 10am. Interment Eden Cemetery. Lois has gone home to be with her family that she missed so.much . I will never forget you lois . Until we meet again !! My Supervisor for Get Set Day Care and all around favorite person fun loving, Professional, wise and generous, full of love was this Woman. Once While Working for Mrs. Ramsey while in Graduate School for Theatre at Villanova University Mrs. Ramsey found out as we did always keep in touch for quite some time that I was working for, Lord N Taylor’s part -time, she wanted this Cashmere Sweater and decided she would help herself to my employee discount to save her some money on the beautiful Gray Cashmere Sweater she wanted. Well of all days to be late for work at Lord N Taylor’s I picked the day I was to meet her and purchase this sweater with and for her. As I was rushing through the Store to get to my Counter to sell Boys Clothes Mrs. Ramsey deliberately, bumps right into me! Lol! She had such a great sense of humor. I met her while Working in Cheyney Universities Library as an Undergraduate she was earning another Masters degree with Principal Certification. The next summer I was working for her as a Play Leader, in Get Set Day Care Early Childhood Education Program.Over the years I worked in almost all her Centers in Germantown ,and, Mt.Airy.She loved her,Son as I always addressed, Greeting Cards to her and him, over the years. I loved her deeply and she was a wise, Boss and, great Mentor.